Mix, match, and crochetmore than a million different dolls! 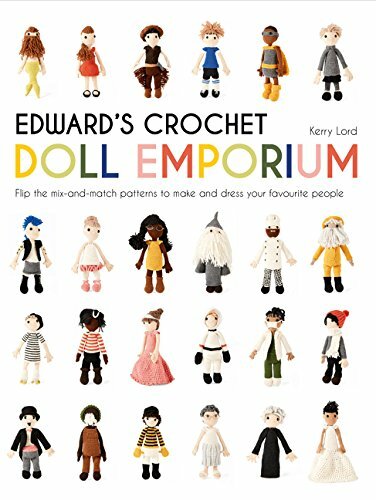 Design the dolls of your dreams with this amazing book of crochet patterns. The flippable pages and mix-and-match format make it easy to build a character with the exact hairstyle, outfit, and accessories you want. Put them together in a million different ways to create a countless number of dolls, from one that looks like a family member or friend to another that resembles your favorite pop star. Or make a single perfect doll with an extraordinary wardrobe: the options include princesses, ballerinas, soccer players, astronauts, surgeons, and more. Step-by-step instructions help even beginners grasp all the crochet techniques, and a 30-page gallery presents a selection of finished dolls to inspire you. If you have any questions about this product by Pavilion, contact us by completing and submitting the form below. If you are looking for a specif part number, please include it with your message.